Buying a new espresso machine can be overwhelming. There is so much information out there. And, more research only yields more options. Usually plentiful options are a good thing. But, too many options can lead to confusion. Enough confusion to need a good, strong cup of coffee. However, don’t despair. Take a look at these considerations and reviews before taking out that credit card. The best super automatic espresso machine may become that much closer to grasp. When you are buying one, the ultimate pick for the best super automatic espresso machine for you depends on individual needs, and there are many points to consider and prioritize. Here are a few things to think about when making a decision about what to look for in a machine. The super automatic espresso machine is one of four main types of pump-driven espresso machine. Then, the super automatic machine falls somewhere in the middle. Super automatic machines generally have more features than a semi or fully automatic machine. But, some of the finer points of coffee making are sacrificed in the name of expediency. Keep reading for a more in-depth look at the things you need to know about buying a super automatic espresso machine. Don’t have time to fuss with an espresso machine? A super automatic may be the solution. How easy it is to operate, however, depends on the make and model of the machine. How many steps are needed for the perfect cup of coffee? Some machines are touch and go with the capacity to remember the most frequent types made. Other machines require various set-up steps in between each cup. Next, coffee making is an art. But, some machines are so optimized that even newbies can operate the machine. Can a coffee newcomer operate the machine? Another point to think about is when it will be used? Because there is very little fussing with levers and buttons, some people find this a great “grab and go” option. Coffee preferences also play an important role in choosing the best super automatic machine. While different machines make a variety of coffee types, some specialize in specific types. It depends on which features the model includes. For example, people who are planning on making cappuccinos or lattes most of the time need a reliable milk feature. However, basic espresso and Americano drinkers may not find this feature as important. Additionally, the beans matter. Lovers of French roast or Italian coffees should not use a super automatic machine. Why? These dark roast coffee beans are too oily. All super automatic espresso machines have a built-in grinder. And, running oily beans through that grinder will eventually clog it. If that happens, the machine will require a lot of maintenance and make a huge mess. However, medium roast blends are perfectly safe to use with a super automatic machine. Coffee drinkers that are leaning towards this type of machine may want to check out the different medium roasts available. Next, super automatic espresso machines are big. And, they take up a lot of counter space. So, think about where its permanent home will be. And, while it’s true that some “compact” models exist, the space-saving is relative. These models may be smaller than similar types on the market. But, they are still fairly large. Take a close look at the product’s dimensions when buying online. Or, if it is an option, check out the model in person. It’s better to get a good idea of the machine’s size ahead of time and not be surprised when unpacking the box. Another point of consideration is the budget. Spending a lot of money on the espresso machine does not automatically mean better quality. The best super automatic espresso machine will be one that comes within budget. And, these machines are not cheap. Even at the lower end of the price range, this espresso machine may still put a decent dent in anyone’s wallet. Digital displays are self-explanatory. However, it may also have different language choices, depending on the brand and model of the machine. The bypass hatch is a small chute on the top of the machine. And, it accepts pre-ground coffee. This feature comes in handy for making another type of coffee than the one in the grinder chute. Additionally, programmable buttons are part of the efficiency of a super automatic espresso machine. But, program options vary with brands and models. Typically, the machine can be programmed for brewing temperature, language output, and water hardness. Pre-grinding is a great feature for anyone pressed for time and brewing many drinks. At the press of a button, the machine will grind and prep for the next drink while still brewing the first. Next, one of the program options on the espresso machine may be temperature. Individual coffee temperature taste may vary. However, controlling the temperature variance may also impact the density, richness, and also the flavor of the brew.  Like with every product, super automatic espresso machines have advantages and disadvantages. Ponder them and decide if these machines are a good fit for you is ultimately your decision. Below is a recap of the main pros and cons, so you can decide if they are for you. These pros and cons are related to the category of super automatic espresso machines. Keep reading for the reviews of the top five in the market. Looking for a premium machine? The Swiss company, Jura, has provided trusted coffee machines for decades. And, the Impressa C65 is one of the latest in their long line of great espresso machines. We have a full review here. One-touch brewing. A mainstay of the super automatic espresso machine type, one-touch brewing makes it convenient to brew coffee quickly. Simply turn the rotary dial, press the button, and go. Hot water feature. Next, having a hot water feature saves time. It can also be used to pre-warm cups prior to filling with coffee. Thermoblock system. The Thermoblock system takes water from the reservoir and heats it up on the fly. Other machines heat up an entire reservoir of water. Therefore, this feature cuts down on the time it takes for the machine to be “ready” to brew. Adjustable coffee strength per cup. The “turn, press, and go” feature really shines for making multiple drinks. Change the coffee strength easily without excessive fussing with the machine per drink. Height adjustable spout. Next, the coffee spout is adjustable. This is a good way to ensure that the coffee doesn’t splash all over the place. The spout adjusts from 2.6 to 4.4” in height to accommodate different sized cups. Energy saving mode. And, there is no need to remember to turn off the machine. Program when the machine goes to sleep for optimum energy savings. Fine foam frother. Additionally, for anyone who consumes cappuccinos like life blood, this foamer is a great feature. The foam frother attachment creates feather-like foam to top off specialty drinks. Compact. Lastly, this espresso machine is relatively compact. The actual dimensions are 11 x 16.1 x 13.6 inches. It may fit underneath kitchen cabinets. However, it would still need enough room around the vents to properly air out. Small hopper and water reservoir. First, because of the “compact” nature of this espresso machine the water reservoir and bean hopper are smaller than other models. This can be inconvenient because both require refills more often. For people on the go, this can be a deal-breaker. No oily coffee beans. Like many super automatic machines, it is inadvisable to use oily beans in the grinder. However, some people use them anyways. But, expect problems with clogging if you do it often. Sometimes need to stir beans in grinder. Additionally, there may be times when beans don’t go through the grinder smoothly. When this happens, stir the beans a little with a spoon. It seems to be a problem associated with the angle of the hopper. While this isn’t a deal-breaker for most people. It can be frustrating and inconvenient for anyone in a hurry. Gaggia offers a great espresso machine option for people on a budget. It has many of the premium features you expect from a super automatic espresso machine, without the super price point. Easy frontal access. First, Gaggia gives you easy access to most of the things frequently used like the dreg drawer, water tank, and drip tray. No more reaching around or moving the machine around. Cleaning and maintenance is quick and easy. Pannarello wand. Next, if you need to froth milk this unit has it covered. The Pannerallo wand froths for lattes and cappuccinos. And, the wand is also used for dispensing hot water, too. Easy operation. And, easy and intuitive controls make using this a breeze. The LED display, push-button controls and light-up icons help users use this machine with minimal learning curve. Bypass hatch. Additionally, the bypass hatch allows for a different type of drink to brew. Simply add a couple of spoons of pre-ground decaf or another flavor into the doser. Removable brew group. Maintaining this machine is a little easier with its removable brew group. Space efficient. Lastly, space efficiency is relative, but this unit is fairly small. The product dimensions are 10 x 15.5 x 11.5 inches. So, it is a great option for anyone who is short on counter space. Small water reservoir. Like many compact espresso units, this one has a small reservoir to save space. Unfortunately, that also translates into more frequent refills. This may not be a big deal. However, it is inconvenient for anyone making multiple drinks or is in a hurry. Drip tray fills quickly. Another compromise for the compact size, the drip tray is equally small, too. While it doesn’t need to be emptied after every shot, count on doing it between 6 to 10 shots into making drinks. For an elegant and compact option that will look great on the kitchen counter, check out this model from Saeco. The HD8917/47 Incanto model has all the features you need for a great coffee experience. Stainless steel. First, the stainless-steel housing is durable and attractive. It looks good on the kitchen counter. And, there are no worries about accidentaly breaking off plastic parts. Integrated milk carafe. Next, unlike other super automatic espresso machines, the milk carafe does not need to be purchased separately. The milk carafe is a part of the machine. And, this is great news for anyone who loves cappuccinos and lattes. Additionally, the milk feature works at the touch of a button. Newcomers don’t have to worry about manually frothing milk. This feature delivers perfect froth every time. And, the components are also easy to maintain. The milk frother has an auto self-cleaning cycle, and also dishwasher safe components. Ceramic grinders. The grinders are 100% ceramic. This prevents heat from building up during the grinding process. And, eliminates the possibility of burnt-tasting coffee. Removable brewing group. Making a perfect cup of coffee each time is easier with brewing group maintenance. And, the removable brewing group makes cleaning simple. Powder option. Finally, when you want to brew a different type of coffee, it’s simple with the powder option. Make a decaf cup of coffee simply by putting the pre-ground coffee in the designated chute. Pricey. This espresso machine is on the pricey side of the spectrum. However, if your budget allows this may be a great option because of its great features. This is another great entry from the Italian experts in coffee. Gaggia’s Amina Prestige espresso machine has many unique features for coffee-lovers looking for a super machine. Ease of operation. The first thing of note about the Amina Prestige is the ease of operation. The LED display offers programmable brewing options with 3 temperature settings. And, the coffee strength is adjusted in this way, too. Programmable drink buttons. Next, there are 4 programmable drink options available on this machine: macchiato, cappuccino, espresso, and long coffee. No more guess how much water you need to add to the espresso for specialty drinks. Included milk carafe with auto-frothing. And, no more worrying about frothing the milk for your lattes and cappuccinos. This machine does it with a push of a button and puts it directly into your coffee cup. Large capacity. Lastly, this espresso machine has a large capacity for water, beans, and drip tray. The water reservoir can hold 60 oz. of water. And, the bean hopper holds up to 8.8 oz. of coffee. In addition, the drip tray holds up to 24 oz. of water before needing a change. And, no more constant fussing with used coffee grounds; the internal dreg bin can hold up to 15 pucks of used coffee. Pricey. The Anima is another espresso machine that is on the high side of the pricing scale. However, some may find the additional features such as one-touch milk frothing worth the higher cost. Coffee lovers on a budget may consider this machine a great option. The DeLonghi ECAM22110SB espresso machine is a wallet-friendly solution. And, it has many exciting features. Overall it does what is advertised and is a very good choice if you don't want to spend lots of money, have limited space and do not need fancy features. Compact. The DeLonghi is narrow but tall. This is great for people who have limited kitchen space, but large cabinet clearance. Its dimensions are 9.4 x 17 x 13.8 inches. Customizable brewing. And, brewing customizations include density, richness, and temperature. The settings are also programmable to get the same coffee every time. Bypass hatch. Next, like many other espresso machines this one also comes equipped with a bypass hatch. This feature is great for brewing decaf coffee or a different roast in the evenings. Easy maintenance. Lastly, maintenance just got easier with this espresso machine’s front access to most parts. The water tank, drip tray, and dreg tray are accessible from the front. And, all the parts are dishwasher safe. Frother. The frother delivers acceptable results for most users. May lack power and fine control if you are an experienced user. Finding the best super automatic espresso machine can be difficult. However, of all the ones featured in this article, there is one clear winner. The Jura 15068 Impressa C65 is the best espresso machine for a variety of reasons. It is relatively easy to use and easy to maintain. It has various coffee settings for different preferences. In addition, the fine foam frother will delight cappuccino and latte drinkers. And, it is also relatively compact for anyone with space constraints. The Impressa can fit under most cabinets and is fairly narrow. However, if the Jura Impressa is out of your price range, the Gaggia Brera is another great option. It offers many similar features as the Impressa. But, it’s on a smaller scale. Lastly, picking out the best super automatic espresso machine is a very individual choice. And, it depends on many personal preferences. The five choices we reviewed are all great super automatic espresso machines. So, go with the one that gives the best performance and still comes within budget.